The originator of Tai Chi (Pinyin Taijiquan), according to legend, is Zhang Sanfeng of the Wudang mountains. When witnessing the fight between a snake and a crane, he is said to have found the inspiration to create what has come to be called Tai Chi. Historically, however, the origin of Tai Chi can only be traced back to the Chen-Family about 300 years ago. The Chen Style was founded about 300 years ago by Cheng Wangting in Chenjiagou. The other four major styles of Tai Chi are Yang, Wu/Hao, Wu, and Sun. They are all related and often influenced by each other. For a long time, Tai Chi was rarely taught outside the Chen family. Yang Luchan, the founder of Yang Style Tai Chi, was one of the early exceptions. He learned from Chen Changxing, of the 6th generation in his family, the Chen Style. Yang achieved great skills and came to develop his own style. Whereas Chen Style combines fast and slow movements and incorporates jumping and stomping techniques to a greater extent, Yang Luchan’s style was slower, more even and flowing. The Wu/Hao Style, also called the first Wu Style, has been shaped by both Yang as well as Chen Style. The founder Wu Yuxiang learned from Yang Banhou (the 2nd generation Yang) and Yang Luchan, and then he learned from Chen Qingping (the 7th generation Chen). It is said, Yang Luchan introduced Wu Yuxiang to the Chen family. The movements of the Wu/Hao style may be characterized as slow, flowing, and small, with a narrow stance and tall body posture. The second Wu Style, which is simply called Wu Style, was jointly founded by Wu Quanyou and his son Wu Jianquan. Wu Quanyou learned from Yang Banhou. Wu Jianquan, in turn, learned from his own father. A striking feature of this style is the sideward-leaning body posture. While raising the upper body is considered crucial in Tai Chi, the Wu Style internalizes this principle. In practice, this means they are still raising upwards, even though their body is leaning to the side. The Sun Style connects Wu/Hao Style Tai Chi, Xingyiquan, and Baguazhang. 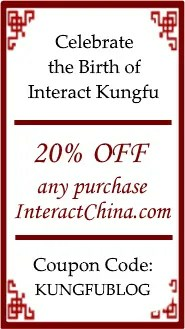 Tai Chi, Xingyiquan, and Baguazhang are known to be the three most influential internal martial arts. The founder of Sun Style is Sun Lutang. He first learned Xingyiquan and Baguazhang and then moved on to study Wu/Hao Style Tai Chi under Hao Weijian (3rd generation of Wu/Hao). The Sun Style is similar to the Wu/Hao Style, employing a narrower stance and a taller body posture. It prioritizes gentleness and steadiness, consciously avoiding any surplus muscular tension.